Claude Bolling (born 10 April 1930), is a French jazz pianist, composer, arranger, and occasional actor. He was born in Cannes, studied at the Nice Conservatory, then in Paris. A child prodigy, by age 14 he was playing jazz piano professionally, with Lionel Hampton, Roy Eldridge, and Kenny Clarke. Bolling’s books on jazz technique show that he did not delve far beyond bebop into much avant garde jazz. He was a major part of the traditional jazz revival in the late 1960s, and he became friends with Oscar Peterson. He has written music for over one hundred films, including a 1957 documentary about the Cannes Film Festival, and films such as The Hands of Orlac (1960), World in My Pocket (1961), Me and the Forty Year Old Man (1965), Atlantic Wall (1970), Borsalino (1970), To Catch a Spy (1971), Le Magnifique (1973), Borsalino & Co. (1974), Flic Story (1975), The Passengers (1977), Silver Bears (1978), California Suite (1978), L’Homme en colère (1979), The Awakening (1980), Willie & Phil (1980), Three Men to Kill (1980), The Bay Boy (1984), He Died with His Eyes Open (1985), Try This One for Size (1989) and Chance or Coincidence (1998). Bolling is also noted for a series of “crossover” collaborations with classical musicians. His Suite for Flute and Jazz Piano Trio with Jean-Pierre Rampal, a mix of Baroque elegance with modern swing, has been a top seller for many years, and was followed up by other works in the same vein. It was particularly popular in the United States, at the top of the hit parade for two years after its release and on the Billboard top 40 for 530 weeks, roughly ten years. Following his work with Rampal, Bolling went on to work with many other musicians, from different genres, including guitarist Alexandre Lagoya, violinist Pinchas Zukerman, trumpeter Maurice André, and cellist Yo-Yo Ma. He has also worked with, and performed tributes to many others, including Lionel Hampton, Duke Ellington, Stéphane Grappelli, Django Reinhardt, and Oscar Peterson. Duo Ruggieri-Del Plato (Flute & Guitar), The Italian duo has been present for several years in the most important music national and international circuits, performing for important concert societies such as International Guitar Festival of the Adriatic; The Tuesday Concerts at the Certosa di Padula (SA); The International Guitar Festival City of Lagonegro (Pz); University of Novgorod (Russia); Rachmaninov Academy, Timisoara State Theater, Theater of State of Arad (Romania); the International Festival of the Guitar de Cieux-France; “Sound Waves” of Oristano; Library of the Royal Palace of Caserta; XV Concert Season of Cosenza; XVII Festival City of Racconigi (Cn); IX Musical Season of Cassano Magnago (Va); Castle of Casapozzano (CE); Museum of Capodimonte (Na); Vatican Radio; International Guitar Festival of Gubbio; Lutheran Church of Sanremo; Solidarity Concert “Amigos” Madeira (Portugal); XXV Encuentro Internacional de Guitarra de la Fundacion “A. Segovia “of Linares (Spain). In addition to the performance of the pieces they are dedicatee, they often take care of the transcriptions and adaptations of the music they perform. Some of the composers that have written for the duo are Claude Bolling, Maximo Diego Pujol, Roberto Fabbri, Vincenzo Palermo, Giuseppe Carannante, Vincenzo Sorrentino, Antonello Grande, Catello Cannavale, Ciro Barbato, Angelo Lauro, Aniello Palomba, Vincenzo D’Ambrosio. In 2013 their repertoire enriched with a new musical production entitled “Riflessi di luce” (“The new composers of the Via del Grano”), performed in the most prestigious International Festivals both in Italy and abroad. 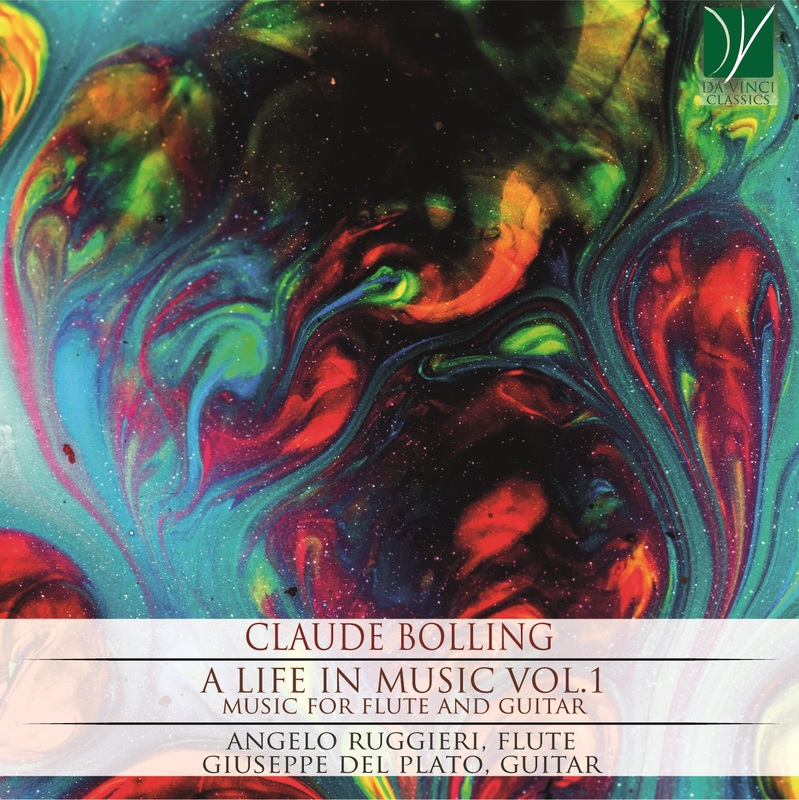 In 2015 “Riflessi di Luce” won the prize as best CD of the year for flute and guitar at the International Guitar Festival “Città di Fiuggi”; Claude Bolling wrote in the presentation: “Bravo les Amis pour ce bel album! La guitare de Giuseppe Del Plato est la base de cet enregistrement qui soutient la magnifique flûte de Angelo Ruggieri dans les interprétations de ces compositions parfaitement équilibrées qui reflètent avec bonheur tout l’esprit de l’Italie.” Angelo Ruggieri is a flute teacher at the Music High School of Castellammare di Stabia (Italy); Giuseppe Del Plato is a guitar teacher at the Music High School in Eboli (Italy).